Kathleen Marden, BA, CHt is a leading UFO researcher, the author of several books, a featured on-camera commentator, and an international lecturer. She earned a BA degree in social work and worked as an educator and education services coordinator while attending graduate school. She is a practitioner of regression and QHHT hypnosis. Her interest in UFOs and contact began in 1961, when her aunt and uncle Betty and Barney Hill, had a close encounter and subsequent abduction in New Hampshire’s White Mountains. 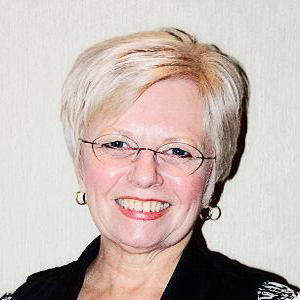 She has been MUFON’s Director of MUFON’s Experiencer Research Team since 2011, expanding her team to 32 members, who offer support, nonjudgmental listening and referrals to experiencers, and is on the board of directors of the Edgar Mitchell Foundation for Research into Extraterrestrial and Extraordinary Encounters (FREE). She has given on-camera commentary on the Discovery, History, National Geographic, Destination America, and Travel channels and on several documentaries. Kathleen has lectured at conferences and colleges across the United States and in Canada, Mexico, Brazil and the UK. She has recently appeared on a video lecture series for experiencers in China. Her email address is Kmarden@aol.com and her website is www.kathleen-marden.com.